Next week I will be ordering a new pump or at least I hope I will. My decision could have been difficult, but because of the narrow time window for ordering my pump and looking at my future under Medicare, it was easy. As someone who uses a lot of technology to manage my diabetes, I satisfy my insurance deductible long before the end of the year. With my 2016 deductible satisfied, my pump will be covered at no cost to me—as long as it is shipped before the end of the year. I think I dawdled last time I purchased a pump and ended up with a warranty expiration date in December. Not great timing as I would feel more comfortable if I already had the pump in hand. My timing is also affected by my move to Medicare in April 2017. I will have individual insurance for January-March, but it will have such a high deductible that a pump purchase would essentially be out-of-pocket. If for some reason I don’t get the new pump in December, I will wait until after April 1. It is not ideal to start Medicare needing a high-ticket item and I don’t know whether I would be forced to abide by the Medicare policy of a 5-year warranty on pumps. I don’t think so because Medicare did not purchase my current pump, but you never know. Timing also affects what pump I will select. I would like the opportunity to try out the Medtronic 630G, but only if I would be eligible to upgrade to the 670G. Unfortunately I will be on Medicare by the time the 670G is released and Medicare beneficiaries are not allowed to participate in manufacturer upgrade programs. I have been told that this rule is part of anti-fraud regulations, but it truly makes no sense to me. It is not as though there is any cost to Medicare to allow me to upgrade if I pay the out-of-pocket cost (if any) and I don’t see how anything about it is fraudulent. But this is not a battle I can win and therefore I will not buy a Medtronic pump at this time. I don’t find the 630G sufficiently appealing to live with for 4 or 5 years especially since it uses the current generation of Enlite sensors and not the improved sensors that are part of the 670G system. I could wait until the 670G is released but there is no guarantee of Medicare coverage. Accu-Chek: I have never considered an Accu-Chek pump. I think some people are very happy with the Accu-Chek Combo, but there is little about it that excites me. I don’t want a meter-remote and given my recent experience with the Accu-Chek Connect meter, I don’t want to be tied to using Accu-Chek test strips. Just not a good fit for me. Animas: I currently use an Animas Vibe and it is an okay pump although I do not use it as a Dexcom G4 receiver. I have a very difficult time reading the screen in bright sunlight and that has been a real problem when hiking. It has started to lose the date/time info when I change the battery and I would not trust it for very long as an out-of-warranty device. A new Animas pump with Dexcom G5 integration is on the horizon, but there is no timetable for its release. Four years ago I purchased an Animas Ping because the market release of the Vibe was expected to be any day. It was over two years later. Insulet: I have never been interested in the Omnipod and do not mind pump tubing. Although some Medicare Advantage and Cost plans cover the Pod, basic Medicare does not. As someone moving on to Medicare in four months, there is no reason to fall in love with the Omnipod. Medtronic: It is mostly a timing problem as described above. I won’t purchase the Minimed 630G because it is a Windows Millennium pump. If you don’t know what that means, you are lucky. We owned several Windows ME computers and they ended up being a very short-lived and poorly-supported generation of computers. If the 670G were available today, I would seriously consider it. Tandem: I have decided to go with the Tandem t:slim X2. I am excited to move to a touchscreen device and am especially excited about the integrated Bluetooth and Tandem Updater. Do you notice that I used the word “excited” twice? When I selected the Animas Ping four years ago, I considered the t:slim and passed on it because of the lack of an upgrade program and I didn’t want a rechargeable pump. I never liked my Ping and was jealous of those who “loved” and were “excited” about their t:slims. A huge selling-point of the X2 is that it will allow users to update the software in the future to accommodate new features, the first being integration with the Dexcom G5 CGM. Automated insulin delivery algorithms are also on the horizon. I personally hope that the Bluetooth connectivity will allow Bluetooth BG meters to automatically populate BG numbers into the pump. Although Medicare does not allow participation in hardware upgrade programs, my fingers are crossed that software updates will be allowed. I discussed the Medicare problem with my local Tandem Rep and he indicated that Tandem is aware of the issue and hopes to make Medicare recipients eligible for software updates. I know that nothing is guaranteed. To tell the truth, I still do not want a rechargeable pump. I have always liked the confidence generated by a spare battery in my meter case. But I will adjust. In our family we keep cars a long time. Although my primary car is a 2012 model, I still drive a 1999 SUV several times a week. As I age, it is easy to wonder if my current or next car will be my “last car.” That makes me a little sad because I love the excitement of buying and driving a new car. I am not yet at the point where I think that the pump I select today will be my “last pump.” But with Medicare’s pump 5-year warranty policy, I am certainly not looking at an unending stream of new insulin devices. At age 64 I hope to have many years of continued good health and many more pumps, but the future is unknown. Will I get the opportunity to use an artificial pancreas-enabled pump? Maybe. Will I quit pumping entirely? Maybe. Will I some day live with implanted beta cells? Doubtful. Will I be cured of diabetes? No. I am not worrying about any of this. It is all in the “I wonder” category. Today I look forward to using a Tandem X2 pump. Unlike previous pump decisions where I had doubts about the “right” choice, I am confident about this decision. I don’t expect absolute perfection with the X2, but I hope for excitement and the opportunity to have pump hardware that can move into the future with software changes. Fingers crossed. Pump comparison charts quickly become out-of-date as new pumps and manufacturers enter and leave the market. If you’re considering an insulin pump purchase, a good place to begin is here and here along with technology articles at Diatribe and Diabetes Mine. Ultimately manufacturer websites and sales reps are an excellent (but biased?) source for current information. And don’t forget to ask your DOC friends for their experiences and opinions. Unless you are living in an underground bunker, you know that Medtronic Diabetes announced yesterday that the MiniMed 670G hybrid closed loop system has been approved by the FDA with anticipated shipping in the spring of 2017. Here’s a link to the press release if you haven’t read it yet. Am I excited about this? Absolutely yes!!! Will I purchase it? Absolutely not!!! Those lightening bolts are supposed to grab your attention and make you sit on the edge of your seat as I explain my predicament. My issue is that I am going on Medicare in April 2017 after having my current pump go out of warranty in December 2016. I long ago satisfied my deductible for 2016 and if I purchase a pump before the end of the year, it will be at no cost. The individual health insurance market in Minnesota is in chaos and I plan to purchase the cheapest insurance plan possible for January through March 2017. It will be expensive despite a high deductible. No way can I purchase a new pump in that time frame. So my choice is to purchase a pump in early December or enter 2017 with an out-of- warranty pump and wait until Medicare. A naive advisor might suggest that I buy the Medtronic 630G in December knowing that those buyers will be the first in line for the 670G pump when it is released in the spring. But guess what! Once you get on Medicare, it is against Medicare law for beneficiaries to participate in upgrade programs. So if I purchase a 630G, that will be my pump for the next 4-5 years because I will not be allowed to upgrade to the 670G. A Medtronic representative told me on Saturday that the 630G is now being reimbursed by Medicare. The sensors are not Medicare-eligible, but at least the pump is covered. If I wait hoping to purchase a 670G after April 1, the most likely possibility is that it will not be covered by Medicare for quite a while. Hopefully I am wrong on that. I am excited that the FDA has approved the MiniMed 670G. Medtronic is not calling it an artificial pancreas, but it is an important step on the journey to complete insulin automation. That is good for all of us excited about the future of diabetes technology. But for me, it is not in the game. My reimbursement scenarios just don’t fit the timing of this release. Anyone who reads my blog regularly knows that I currently use Dexcom after several unhappy years with Medtronic SofSensors. The Guardian Sensor 3 that is part of the 670G is many generations removed from that nightmare and I would be open to trying them. But it would be too big a leap of faith to move back to Medtronic without a trial run. Maybe that will be possible in the future when hopefully, hopefully, hopefully CGM/pump systems will be reimbursable under Medicare. Today my options are too tangled and uncertain to make the MiniMed 670G part of my plans. But I will still camp out in the grandstands with other diabetes advocates yelling “Congrats!” to Medtronic. We live in a golden age of diabetes tech. Unfortunately we also live in a stone age of diabetes reimbursement for those of us who are approaching age 65 and older. In order to amplify the voices of those of us who oppose the recent mandate by UnitedHealthCare to cover only Medtronic pumps, DPAC (Diabetes Patient Advocacy Coalition) is asking everyone affected by diabetes to share their story. Follow this link to help DPAC gather “stories to share publicly within the community and, perhaps more importantly, within the healthcare and legislative communities.” Your voice will help prove that #DiabetesAccessMatters and will advocate for #MyPumpChoice and #PatientsOverProfits. I don’t know whether my experiences will help because my diabetes narrative is that of a “privileged patient” who has always had access to prescribed insulins, meters, pumps, and CGM’s. How do I prove that access and choice have made a difference? I have had Type 1 diabetes since 1976. When I was diagnosed there was no home blood glucose monitoring and I took 1 injection of insulin per day. My chances for a long healthy life were minimal and complications such as blindness, amputation, and kidney disease were seen as almost inevitable. Today I am 64 years old. I have gray hair and am stiff from arthritis, but my eyes are fine. My body has bruises and rashes from pump and CGM sites, but I have no numbness in my feet and my kidney function is fine. I rarely have a day without lows requiring glucose tabs, but I have not needed my husband to fetch emergency orange juice since starting the Dexcom G4 in 2012. My lab tests are good and my cardiac function tests are excellent. Hard work paid off. Lucky genes probably helped. But what is most important is that I had ACCESS. ACCESS to medical professionals who learned through the Diabetes Control and Complications Trial (DCCT) that controlling blood sugar results in better health for people with Type 1 diabetes. ACCESS to new and improved insulin products as they were brought to market. ACCESS to the newest technologies which began with home BG meters in the early 1980’s and expanded to insulin pumps and continuous glucose monitors (CGM) in later years. 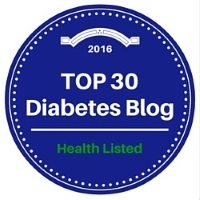 ACCESS to education about how to optimally manage my diabetes. ACCESS to social support through the DOC (Diabetes Online Community). Along with access, I had CHOICE. When my internal medicine doctor was unqualified to prescribe a pump, I CHOSE to switch to an endocrinologist. After experimenting to prove that the blood glucose monitor I was using was unreliable, I CHOSE to switch brands to a meter which provided more consistent results. When my endocrinologist and I agreed that my diabetes could be better managed with an insulin pump as opposed to injections, I investigated my options and CHOSE the pump that I believed would give me the best results. When my doctor prescribed a CGM to combat my hypo-unawareness and extreme lows, I CHOSE to give it a try. After a few years of failure with the CGM brand that I selected, my doctor and I worked together and CHOSE the competing brand. I am incredibly lucky to have always had good insurance. I have had access and I have had choice. Many years ago my insurance was provided as one of my husband’s work benefits. The cost to us was minimal. Today I pay huge insurance premiums, but I still have access to the medications and durable medical equipment (pump and CGM) that my endocrinologist and I choose. An insurance company is in business to make money and does not have a license to practice medicine. Once I pay my premiums, access and choice should be in my hands and those of my medical team. The idea that UnitedHealthCare has the right to change its policies on insulin pumps mid-year and mid-contract is wrong. Big players in the game making deals to reduce competition and limit choice should not be allowed. How do I prove that ACCESS and CHOICE have made a difference in my life with diabetes? I could be mad at UnitedHealthCare. I could be mad at Medtronic Diabetes. I could be mad at a healthcare system that allows health insurance companies to practice medicine and mandate care decisions for their subscribers. But mostly I am sad. I am sad for everyone with diabetes. I am especially sad for those of us with Type 1 diabetes for whom improvements in technology have been life-changing. I am sad for everyone who has diabetes today and for those who will be diagnosed in the future. In some ways the last five to ten years have been a golden age of diabetes care with the release of new insulins, new medications, innovative insulin pumps, and increasingly reliable CGM systems. We see parents able to monitor their child’s blood sugar while at school. We see artificial pancreas clinical trials where blood sugar levels are optimized and the mental burden of care is reduced. Encapsulated beta cell trials have allowed some patients with T1 diabetes to reduce or eliminate the need for insulin injections. The next five years could be even more impressive for the Type 1 market with the probable release of several artificial pancreas systems, the advent of smart insulin, and explosions in ways to monitor our data. How can I be mad at UnitedHealthCare and Medtronic? They are doing what big companies do. They are trying to grow bigger, squash competition, and make money. They can talk about visions of patient-centric care, but ultimately their DNA drives them to base most of their decisions on the bottom line. As patients in the United States, what are we supposed to wish for and whom should we blame? It is easy to lobby for national health insurance to eliminate huge profits earned by companies such as UnitedHealthcare. At the same time as a person with longterm Type 1 diabetes, there are few countries in the world where I would have access to an insulin pump and even fewer where a CGM would be funded. I can idealistically hate the idea of our dysfunctional for-profit healthcare system, but there is no doubt that I have benefited from it. But what if the future doesn’t come? The scariest part of the UnitedHealthCare mandate for Medtronic products is the threat that no one with diabetes will receive these life-changing therapies because they will not come to be. Although I sometimes think that Medtronic is taken for granted as a workhorse and powerful player in the diabetes market, in my opinion the most cutting-edge tech devices in recent years have come from the smaller players: Dexcom, Tandem, Asante, and even back to the beloved-Cozmo insulin pump. Innovative medical breakthroughs are apt to be eliminated when choice and competition are trampled by the bigger and more financially-secure players. For more information about the UnitedHealthCare agreement with Medtronic Diabetes, I suggest you start with Mike Hoskins’ article at Diabetes Mine. He provides links to other passionate blogposts and social media responses and outlines actions that we can take to have our voices heard.